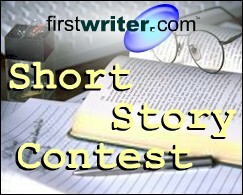 This month, firstwriter.com has announced the winner and special commendations of its Ninth International Short Story Contest, as well as releasing Issue 23 of firstwriter.magazine, Summer Fruits. Amelia Ashton of Winchester was announced as the winner of the competition for her short story "The Wish", and wins £200. The winning story can be read online at https://www.firstwriter.com/competitions/poetry_competition/previous_winners/9thstory.shtml. Mike Wendling, United Kingdom, "Ethics Exam". The latest issue of firstwriter.magazine has also just been released, featuring quality fiction and poetry submitted from around the world, plus your first chance to see not just the winning poems from our Eleventh International Poetry Competition, but also all ten Special Commendations. To view the magazine click here. To enter your work in our Twelfth International Poetry Competition click here. All those whose work has been included in issue 23 have now been notified, so if you submitted work for issue 23 and have not received notification of inclusion then, regrettably, on this occasion your submission was not successful. Please do feel free to try again, however, through www.firstwriter.com/Magazine. We have now begun accepting submissions for Issue 25. The Stony Thursday Book is seeking submissions from local, national and international poets for its next issue, to be published as part of CUISLE, Limerick City's International Poetry Festival in October 2013. The Stony Thursday Book was founded by Limerick poets John Liddy and Jim Burke in 1975, and has also been edited by Mark Whelan, Kevin Byrne, Patrick Bourke and Knute Skinner, Thomas McCarthy, Mary Coll and Jo Slade. The Stony Thursday Book is one of the longest-running literary journals in Ireland and celebrates its 38th Anniversary Edition in 2013. This year's editor is Kerry based poet Paddy Bushe. Submissions are being sought in both English and Irish. Send no more than 6 poems. When submitting poems, write your name and address on each page. Closing date for submissions: Friday August 16, 2013. On July 12, 2013, Pighog launched their Poetry Film Competition, which will run till October 31, 2013. Entrants are invited to create a film inspired by a poem written by a Pighog poet. The prize is £500 for the overall winner, plus a £250 prize for the film voted most popular by Pighog's online community. The entry fee will be £10, or £5 for those who have purchased a Pighog Poetry collection online on the Pighog website. In the world of social platforms and digital media, micro-content has been the trend for news, personal tweets, Facebook posts, and the list goes on. In the publishing industry, however, there just may have been a void that has been recognised and filled. Author and fly fishing magazine publisher, George Douglas, has launched a new platform that is capturing the attention of writers of all facets, from Best-Selling Authors to Slam Poets. The site is called microcerpt (micro-excerpts), a website that allows writers to submit their excerpts into a network that classifies them into their pertinent genre. The power of www.microcerpt.com is apparent when readers can click on their favourite category and read short excerpts from various writers. The excerpts can be filtered down further to view all from a book origin, poem, web article, essays, or a few others. “I wanted to create an environment where writers are not judged by fancy titles or by their lowest / highest star rating, but by a genuine attempt of a reader seeking a connection with a writer with a minimal time investment. The truth is, some will connect with a writing style, and some will not. As a result, there are too many amazing writings that have gone undiscovered or under-appreciated and may deserve to be right alongside highly respected works,” said Douglas. Being an author himself of eight books, Douglas was able to pinpoint the needs for writers and their readers during the development of the site. Writers can offer ”behind the scenes” of their writings with audio and video capabilities, keep their fans updated with their microcerpt book club, and a unique way for all users to show off their top 10 authors or books, allowing them to connect with others and share their thoughts on writings. Lone Stars Magazine's online communications and e-files were recently hacked. All their poets' information, and submissions of poetry, were destroyed and/or stolen, including poems, bios, memos, etc. Limit 5 Poems per Submission. Reading fee of $1.00 per Poem. SASE for reply and Contests info. Subscription: $20 for 4 Issues. Ideas are everywhere – in your home, your car – at your work – you can even find ideas to write about at the park or at the grocery store. It's up to you, the writer, to find the ideas you like to write about and turn them into publishable stories, articles or poems. Your home is a storehouse for ideas that can be turned into an article or perhaps a setting for a fiction story. Do you cook or sew? Do you draw or paint? Or do you teach or write? What is your hobby or favourite pass time? There are publications everywhere seeking articles and stories for all this and more. Ever wondered just how many airbags are in a car and where they may be located? Ever wonder how they work and how they would protect you and your loved ones in case of a wreck? All these things and more are great ideas for an article or two such as "The Dangers of Airbags" or "What the Manufacturer Don't Want You to Know" or even this: "How Many Airbags Are There in Your Car?" or "Where Are the Airbags in Your Car (Type of Vehicle)?" Another idea might be something like this: "How Safe is the City Park?" or "Who Maintains the Park Equipment for Children?" Another article idea might be: "Is the Public Park in Your City or Town Infested With Ants?" One way to find story ideas is to be observant in public places. Listen to the people around you. Let them do the talking. The young mother in the check out line has an autistic son along with two smaller children. She is telling the clerk how she deals with this situation day-by-day and explains that by 8:30 pm, the kids are in bed and by that time, she is so exhausted that she falls asleep on the sofa. The dinner dishes never get done on time, and sometimes she is so tired that she doesn't even have time for a shower. The check out clerk agrees with her and explains how she handles going to college and working every evening at the supermarket until 10 pm and then going home and doing all the homework from her day at school. The point here is simple. By being observant, you opened up several possibilities for a story. You could possibly write a how-to piece for young mothers on how to cope with kids and relax after a long day or you can do an article about coping with work and school and the in-betweens for a woman's magazine such as Glamour or Redbook. Articles that help the reader find ways to handle situations like the two women mentioned above is what editors are looking for. These are only two of the endless possibilities for ideas to write about. If you have children of your own, you, the writer, have to adjust to finding time to write within your busy day. Laundry is an everyday task; cooking and cleaning has to be done daily unless you're fortunate enough to have a full time maid and cook. Children have to be tended to regardless of your schedule and they sooner or later have to be fed. Suppose your three-year-old son has had an allergic reaction to fish – there's a possible story just waiting to happen. An article on "Childhood Allergies and More" or "Coping with Allergies in Children" or "Is your Child Allergic? ": these are great article ideas for parenting magazines – a little research and a few quotes from your child's paediatrician (get his/her permission first) can turn a dull article into a saleable one. Write an article for a parenting magazine about your child's allergy explaining symptoms to look for and what a parent is to do if the child is allergic to something – find out all you can about the allergy so that you may be able to help other mothers understand the seriousness of a child being allergic to seafood and this sort of thing. Other ideas are "Are You Paying Too Much for a Diaper Service?" or "How to Choose the Right Day Care." Ideas are everywhere – many ideas that you come you come up with have been written before but they become new ideas once you write them with your own words and new information. Hobbies can generate great ideas as well. Some ideas are: "How to Crochet and Afghan for the New Baby" or "You Can Learn To Knit" or "How to knit a Sweater for Your Newborn". Another way to generate ideas is to read writers guidelines of various publications that you'd like to write for. Read back issues and a couple of current issues to get a feel for that publication is looking for. Chances are, you'll find an idea you can write about. Finding ideas to write about is only half the battle. The other half is writing it and actually getting an editor to accept it. This is where the real test comes in. Write it as clearly and error free as you can – let it simmer a day or too – then read it again, revise it and send it to the magazine of your choosing. Marcella has been writing professionally since 1988 – with over 700 published credits in over 300 small press publications nationwide, including several local newspapers, she continues writing for several publications and websites such as this one. In 2005, her first book of poetry entitled Bittersweet Morsels, was published. Marcella is working on several romantic suspense book projects at this time. "Writing is a way of life for me. I couldn't imagine 'not' writing. One of my many passions is writing for children – some of my stories appeared in Primary Treasure, Christian Educator, The Vision and many others," Marcella said. "In 1991, I graduated from THE INSTITUTE OF CHILDREN'S LITERATURE: Writing for Children and Teens; WRITER'S DIGEST SCHOOL: Nonfiction Writing; and ICS School of Short Story/Journalism," she continued. "I enjoy writing and teaching others how to write". Marcella leads the Toledo Bend American Christian Writers group in Logansport. She also publishes a magazine for writers called The Writer's Monthly Review. Marcella is a member of the American Christian Writers ACW, Shreveport Writer's Group and the Attoyac Writers’ Guild in Center, Texas.